Most all of us have a vision of what our future career might be, and what our lives will look like. Many of us still find ourselves asking, at some point; "If I could pick anything at all, what would I do to make money?" What could allow you to look at each day as a beautiful story in the making, filled with opportunity and satisfaction? These are the same questions that changed the lives of two families. When John asked his friend, Geoff, they both answered; farming. They have been building their vision for six years now. Their pasture-raised, artisan meat has graced the dinner tables of many conscious consumers and the plates of some of the top Portland, Oregon restaurants alike. This farming duo, along with their families, are passionate about having a business that produces quality food to both sell, and enjoy themselves at the end of the day. It’s not just a career, it’s a lifestyle. There's something exhilarating about waking up early to the smell of freshly grazed grass, and pulling on worn jeans, thick socks, and trusted boots. It’s satisfying to taste that first sip of steaming coffee in the brisk air, taking in the rich emerald green beauty of the 47-acre field in the golden sunrise glow, as the tractor's diesel engine warms up before a hard days work. Every day of work is different, yet filled with the same stewardship, privilege, and gratitude for the animals and the land. It is such a fulfilling way to provide sustenance for so many. It's rewarding to move the animals to fresh pasture every day with the knowledge that an important and sustainable impact is being made. Each day brings hours of active work in the field, which is why having appropriate gear is so incredibly important. When the sun hits the horizon, saying goodbye for the day, these families rest in confidence knowing they're ready for the next day. 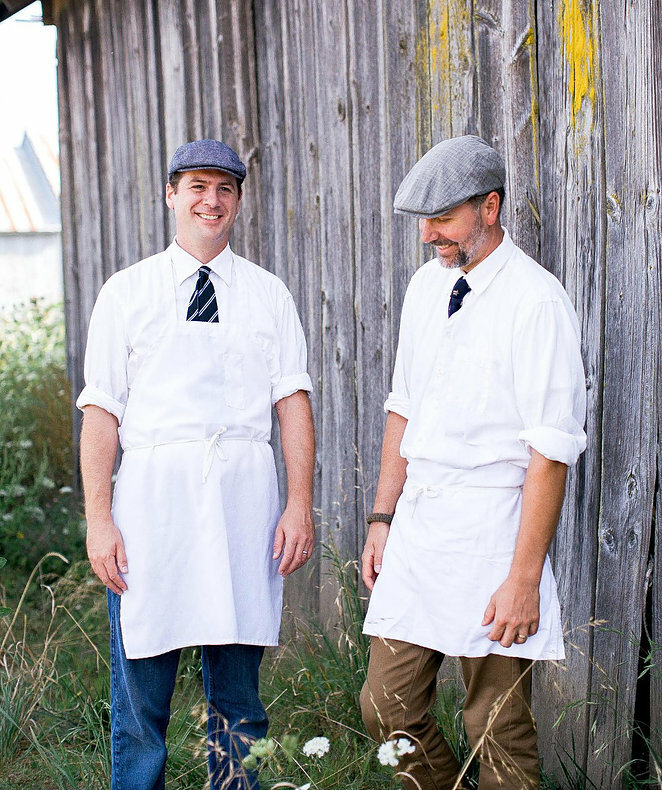 MARION ACRES provides their community with local, fresh, pasture-raised, quality and sustainable artisan meat that they openly stand behind.